Remarkable Event "Goa International Film Festival"
Don’t forget to visit Goa for witnessing one of the spectacular events of "International film festival of India 2014" in Goa. This festival was first celebrated in 1952 at Mumbai and afterwards it was organized at many different venues like Madras, Delhi and Calcutta. 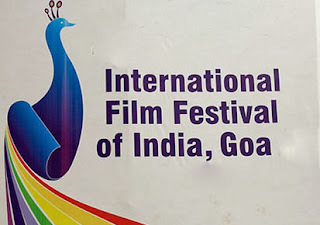 Finally IFFI was shifted to Goa in 2004 and since then it became a regular annual event of Goa. The aim of this festival is to provide a unique platform for the quality films produced in different countries and get introduced to cultures of various nations. Whereas the ultimate aim is to bring world community together in order to create friendship and cooperation among them. Other festivals which preserve cultural heritage of Goa are Marathi Drama Festival and Konkani Drama Festival. Goa will be in lime light once more from 20th November onwards till end of November, when the most awaited 44th goa international film festival will be hosted at Panjim. This years IFFI will be inaugurated by Susan Sarandon the popular American actress in a fabulous opening ceremony, which will be held on 20th November. Whereas chief guest for closing ceremony will be Miichelle Yeoh, a well known Malaysian actress. The festival will be opened with the screening of Czech film Don Juans and Indian film Kanyaka Talkies. The Goa film festival will be buzzed up with many Indian and International dignitaries and celebrities from various worldwide locations. A few awards will be awarded to some of the great personalities in film making. This years special attraction of the international film festival in Goa will be a film directed and produced by an Afghan director. Don’t miss the opportunity of attending this once in a year event of Goa International film festival, which brings thousands of visitors to this destination. As per the reports prepared by the world tourist organizations, Goa has witnessed a great rise in the number of tourists visiting this destination. Where to stay in Goa is not a big issue since Goa has proportionate number of hotels, resorts and other means of accommodations. Cottages near Colva Beach are recommended for a comfortable stay in Goa and exploring the beauty of the beaches in its vicinity.